based on an original screenplay by Emilia Brecht. 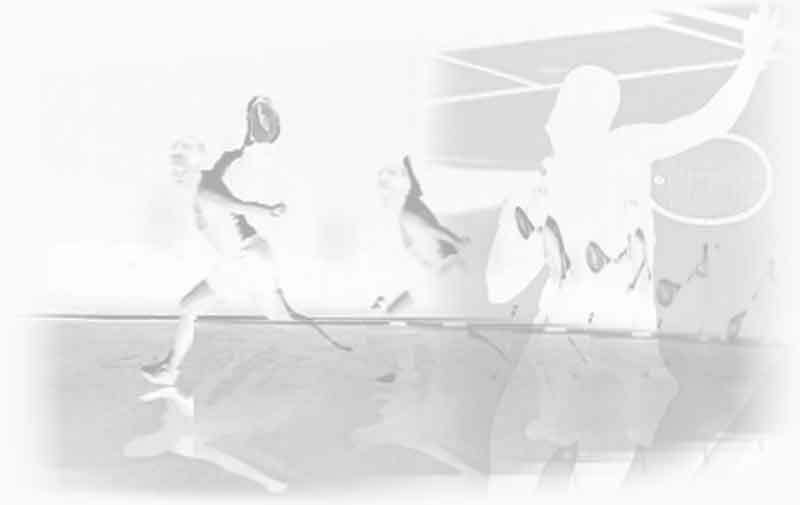 Attempting to win a tennis match when half of the court is simply not visible is to play a match against echoes. When the first ball passes over the net it returns as an echo, modulated by distance, impact and speed. As the match progresses layer upon layer of echoes create feedback loops that break down the distinction between cause and effect. This is the setting for Motherboard's latest drama. The players, a man and a woman with both secrets to share and secrets to hide, are involved in an intricate battle of conflicts and intrigue where the rules of the game are constantly changing. Can such a match be resolved? That is a matter for the court to decide. Educated at Statens Ballethøyskole. Kristine has been an active dancer in Oslo's free theatre scene since 1993, where she has worked with diverse groups, choreographers and theatre and TV productions. She debuted with her own choreographic work in the Oslo rock scene in 1995 with Vampire State Building, and continues to be seduced by rock and glam as an expressive preference. She now works with her own productions, dance improvisation, and is currently involved in a new performance by Kreutzer Kompani. Kristine has worked with Motherboard in several productions since 1996. Educated at Statens Teaterhøyskole and Lee Strasberg, New York. Hauk has worked as a freelance actor since completing his education in 1999 and has performed with several free theatre groups including Team Tellus, ! bang, Passage Nord. He has also worked at Oslo Nye, Brageteatret, Agder Teater, Nationaltheatret and several TV and film productions. Game Set Match is Hauk’s first production with Motherboard. The music in Game Set Match draws on the radical works of Raymond Scott (1904-94), mad professor, band leader, composer of cartoon music and one of the earliest and influencial pioneers of electronic music. Game Set Match is funded by the Arts Council Norway and the Audio Visual Fund. Thanks to the Norwegian Theatre Academy with special thanks to 3rd year students/actors, Runar Hodne, Søren Wiese, RC Egseth, Jon Platou Selvig, Riksanlegget for Tennis, Anders Håseth, Aslak Nygren and Ole Skjelbred-Knudsen.